Ah, Sydney. 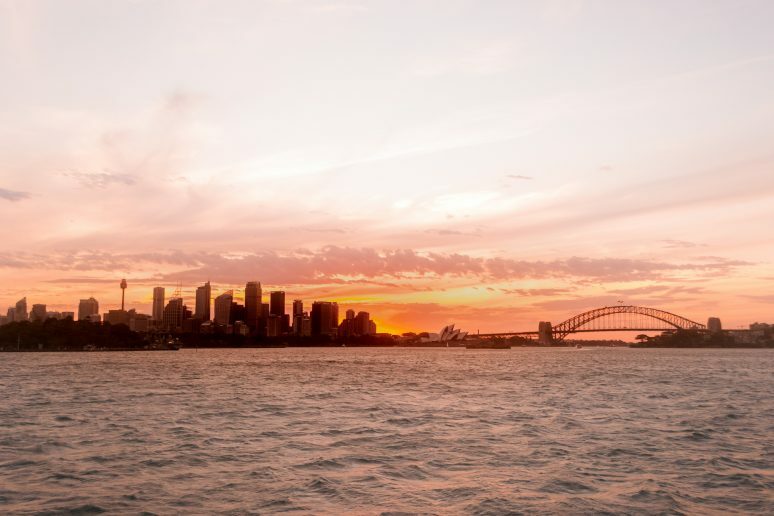 Certainly the most recognisable city in Australia, and often confused as Australia’s capital, Sydney is incredibly picturesque and its iconic status is well-deserved. 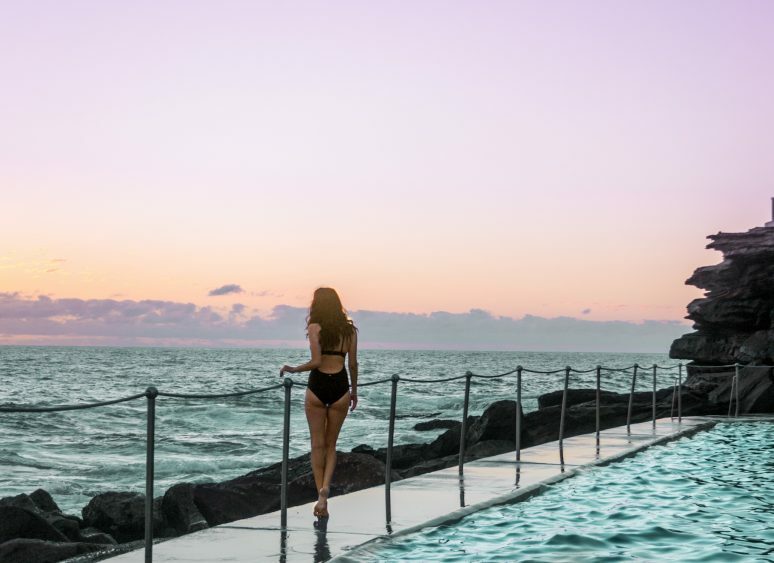 Not only is Sydney’s skyline littered with architectural marvels such as the Sydney Harbour Bridge, the Sydney Opera House and the Sydney Tour, but the beach-side pools are the perfect way to decorate your insta feed. 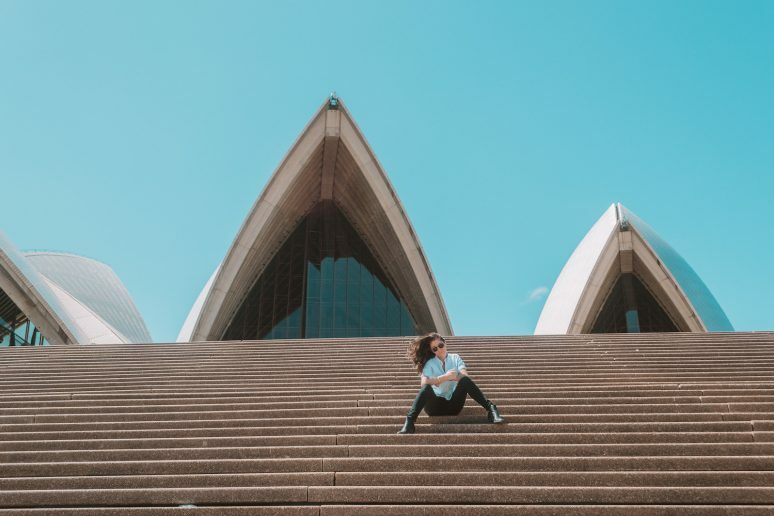 Keep reading to find out the best spots to bring your camera in Sydney – and tips on how to get that perfect shot and avoid the crowds. 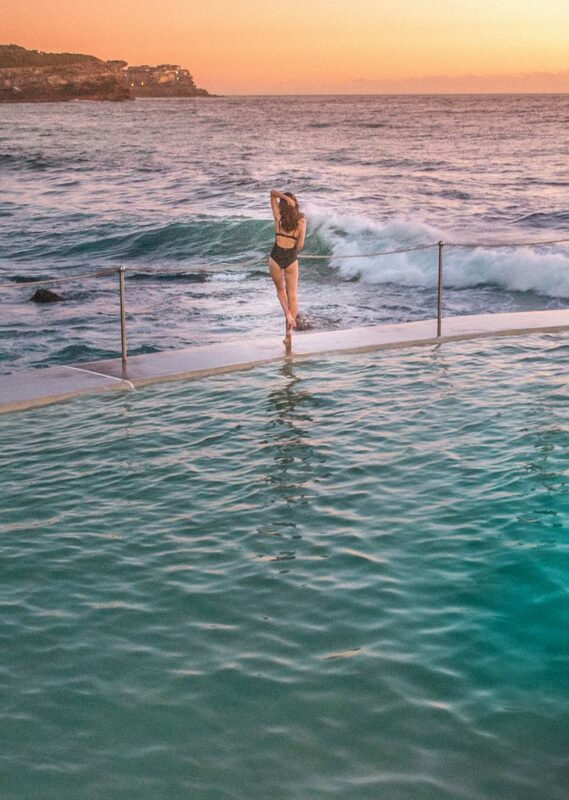 The Bronte Beach pool is probably one of the most photographed pools in the country. 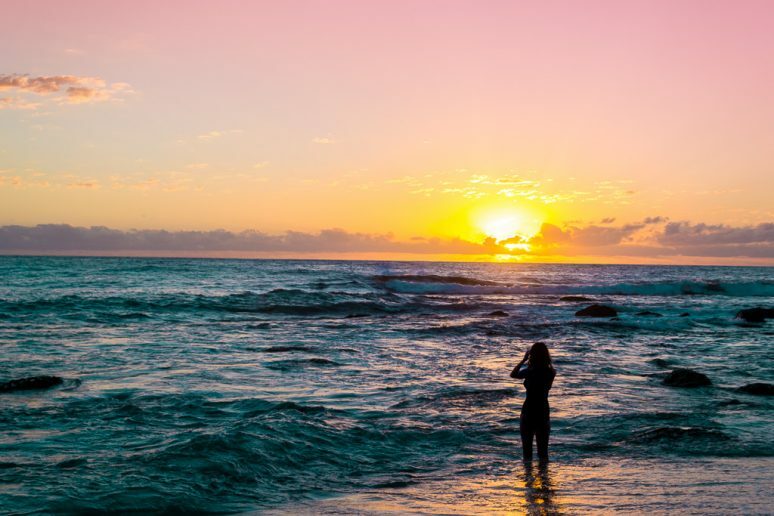 Bronte Beach is also home to the most spectacular sunrise I have ever been lucky enough to witness. The pool is filled with natural sea water that spills into the pool over the rocks, letting you experience the full force of the Earth while in the safety of the pool. 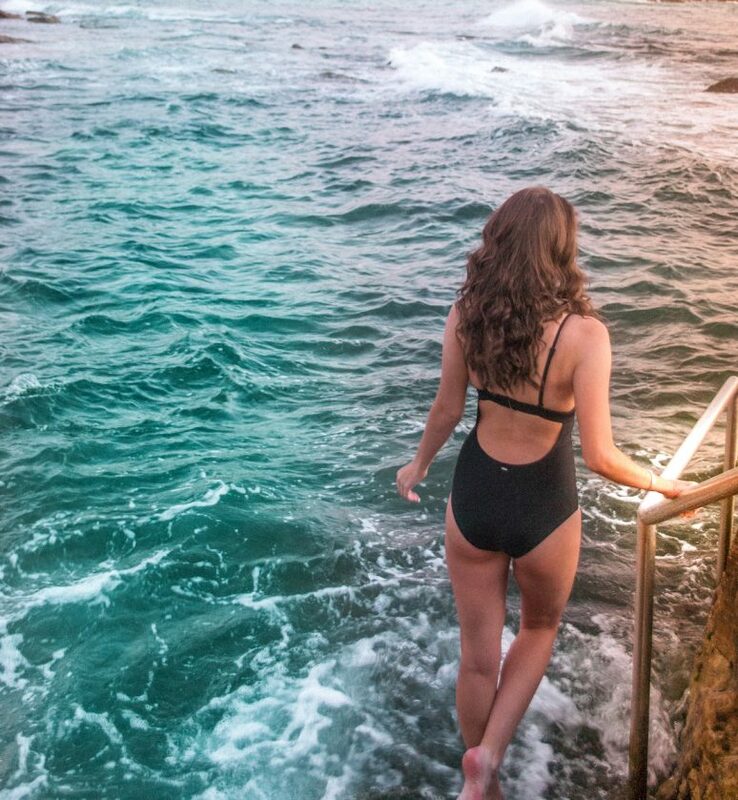 Australia is home to some of the most dangerous beaches in the world and Bronte Beach certainly keeps the lifeguards busy due to the sharp rocks and strong rips; the Bronte Beach pool is the perfect way to enjoy Australia’s oceans for tourists or those who are not strong swimmers. The Bronte Beach pool is an incredibly popular destination for locals and tourists alike so it can be tricky to get that perfect shot. The best time to visit is on a weekday and early in the morning for the sunrise. Even at 6am there will always be swimmers and surfers at Bronte soaking up the sun before work but it is much easier to get that shot as the sun wakes up the city with less crowds in the background. Bronte Beach is always open and only a short 30 minute walk away from the famed Bondi Beach and Bondi Junction train station. If you don’t get a picture with the Harbour Bridge, then you didn’t go to Sydney! The Sydney Harbour Bridge is an iconic structure connecting Sydney’s CBD and the Northern suburbs. You can travel across the bridge as a pedestrian, in a car or on a double-decker train (travel from Sydney’s CBD to Milson’s Point to experience the bridge on a train). You can also climb to the top of the bridge for a fee with the Sydney Harbour Bridge Climb. Every day, many tourists crowd Circular Quay and the steps of the Sydney Opera House to get a picture of the bridge, making it hard to get a photo without about 100 people in the background. My tip: head around the back of the Opera House. There are fewer people because it’s a little further to walk and people don’t realise that you can walk all the way around! If you visit on a weekday, you’d be unlucky to get anyone in your picture of the bridge. The closest train station to both the bridge (on the CBD side) and the Opera House is Circular Quay. Mrs Macquarie’s Chair is also a destination frequented by travellers and tourists but is well and truly deserving of its reputation as the perfect place to enjoy a sunset over the Sydney skyline. With two levels of viewing, including a bottom level that is subject to sea-spray, the sun will set behind the Opera House giving the skyline an incredible glow. In the summer, you can also enjoy a movie via a blow up screen on the harbour. Mrs Macquarie’s Chair is located within the Royal Botanic Gardens and only a 20 minute walk through the gardens from Circular Quay. While it’s pretty much always teaming with photographers and travellers, the long length of the lookout leaves plenty of room for everyone to get their perfect shot. Bondi Beach is probably on most people’s Sydney bucket list and for good reason! Bondi is a large, beautiful beach surrounded by enormous cliffs and close to amazing cafes, smoothie bars and shopping – so it’s definitely worth a visit. Bondi is easily accessed by bus, taxi or a short walk from Bondi Junction train station and shopping centre. Be warned – while it’s a great place for a swim – Bondi is notorious for getting foreigners into trouble with its strong rips, currents and sharp rocks. In Australia we even have a television show dedicated to the beach called Bondi Rescue. Bondi is a pretty relaxed and laid-back part of town but also probably the busiest place in all of Sydney. Make sure you get to Bondi nice and early in the morning to miss the midday crowds. Bondi Beach is also home to the famous Icebergs pool, another famous Instagram pool in Sydney. 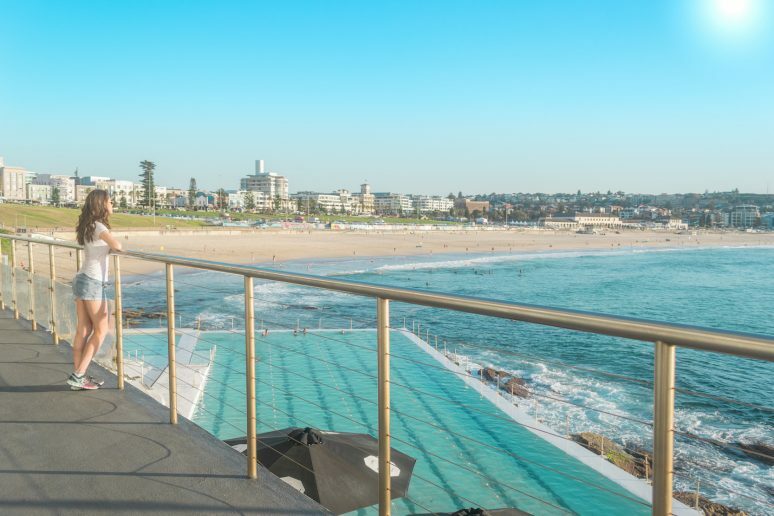 The Icebergs pool is closed for cleaning on Thursday mornings and the Icebergs also have a bistro overlooking the beach, so if you aren’t in the mood for a swim you can still enjoy the Icebergs. Once you’ve seen Sydney’s skyline from the ground, you need to see it from above. 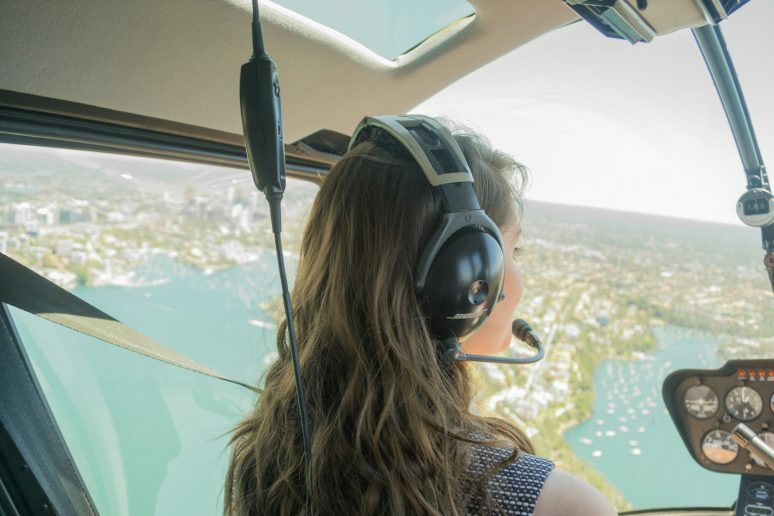 There are a lot of options available for seeing Sydney from the sky, but my most highly recommended is cruising the skies in a helicopter tour. A 20 minute flight will take you through the city, around the harbour and over to Bondi and back for less than AU $250pp with Sydney Helitours. Not to mention that you get picked up from your hotel and get to watch the famous flying roo on the Qantas planes take off and land – up close! 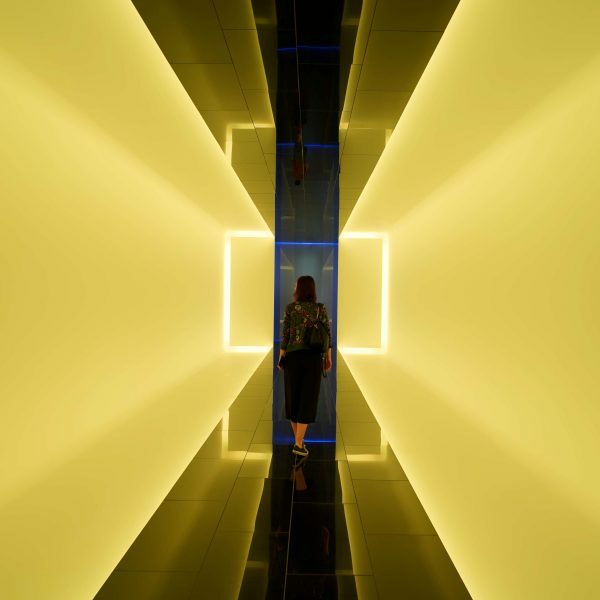 Alternatively, you can head up the Sydney Tower and take the walk around the outside of the building to get an incredible view of the harbour. The Sydney Tower is a short distance from the Pitt Street Mall and easily accessible from St James station. 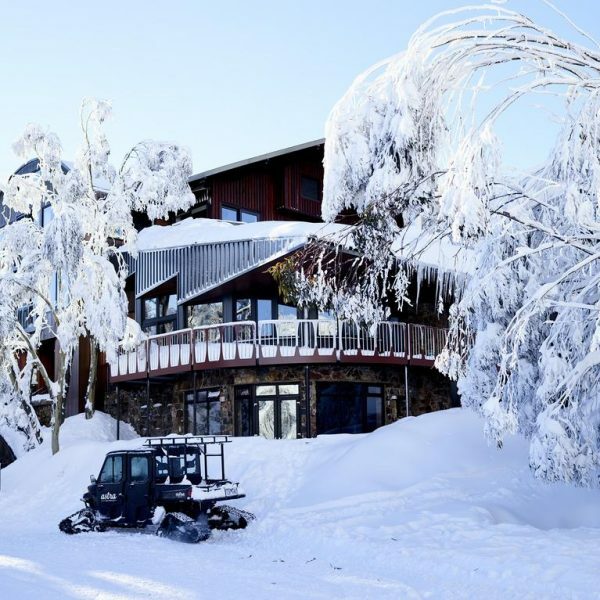 Weather: Sydney’s weather is (mostly) consistently lovely – just remember that the seasons are reversed in the Southern hemisphere so it’s cold in June/July and hot over Christmas. Currency: Australia has arguably the prettiest currency with vibrant coloured notes and gold and silver coins. Australian Dollars (AUD) are used throughout the country and remember that tipping is not customary down under. You can fly into Sydney Airport from most major cities around the world with Australia’s airline, Qantas. For less than $20 you can catch a train straight from the airport into the CBD. 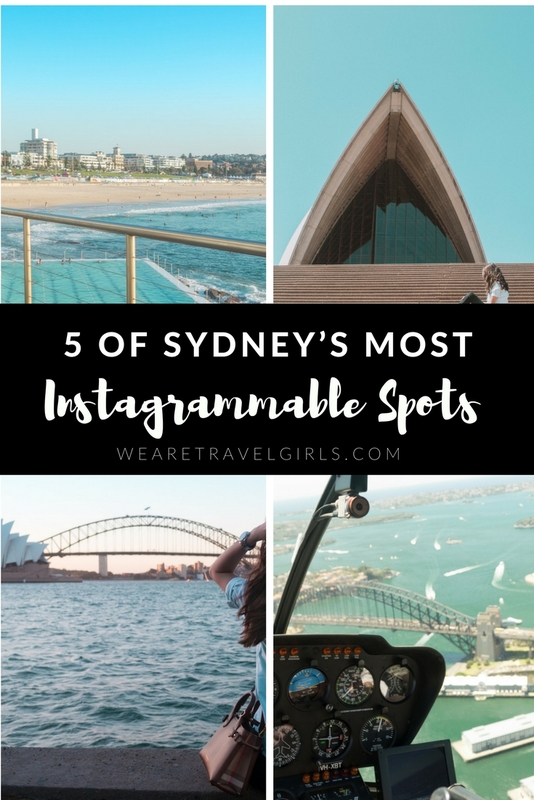 If it’s not already, Sydney should be on everyone’s bucket list! 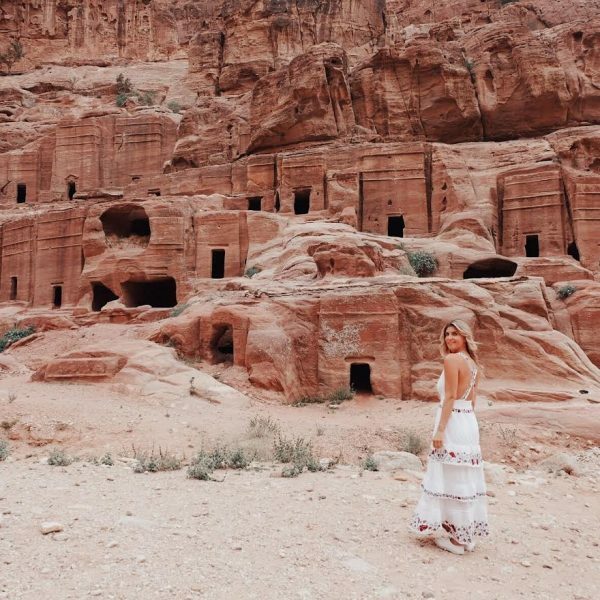 Australia is the ultimate travel goals destination and the city’s beauty is unparalleled. 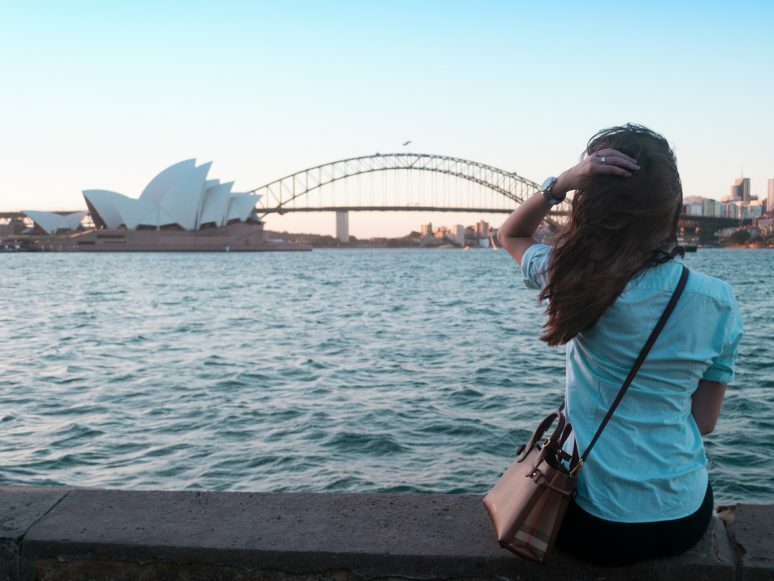 With idyllic beaches and a thriving city set on a beautiful harbour, Sydney is the perfect first stop on any Australia trip, whether it be for 3 days, weeks, months or years! Come and say g’day! Have you ever visited Sydney? We’d love to hear your stories, tips or questions in the comment section below!